A new study suggests hedge fund managers who exhibit what health professionals consider psychopathic traits actually perform worse than their peers over time. The most “psychopathic” managers had the worst investment records. Those who ranked in the top 16% on the psychopathy scale lagged the average by 0.88% per year. Narcissistic managers turned in mediocre returns, but their clients had to endure more volatility. Psychopaths are difficult to work with (!). Investing can require collaboration. Maybe the secret to success on Wall Street is being nice. In the world of high finance, it’s been an article of faith among some that the only way to succeed—or even survive—is to be ruthless. But a new study in the latest issue of the Personality & Social Psychology Bulletin suggests those money makers at the top of the food chain, hedge fund managers, could benefit from being a little less mean. It turns out that people who exhibit what health professionals consider psychopathic traits actually perform worse than their peers over time. Psychologists define a “psychopath” as someone who, among other things, lacks a conscience—an individual who often acts in a manipulative fashion for personal gain. While such traits aren’t the best way to win friends and influence people outside of work, they are seen by the more mercenary as advantageous when it comes to climbing the career ladder or making money. This may not be the case. Psychology professors Leanne ten Brinke, of the University of Denver, and Dacher Keltner, of the University of California at Berkeley, teamed up with a hedge fund expert, Aimee Kish of San Francisco-based investment firm TeamCo Advisers, to study the personalities and performance of 101 hedge fund managers. The participants—all men, and all in the top positions at their firms—had median assets under management of $4.6 billion and impressive track records, averaging a 7.27 percent return per year in their flagship funds from 2005 to 2015. Researchers didn’t directly diagnose managers as psychopaths per se. Previous research has shown that “dark” personality traits—psychopathy, narcissism, and Machiavellianism—can be detected even in short encounters. So rather than doing deep analytical analyses of each member of the sample, researchers instead analyzed clips from videos where they were asked about their fund strategies and performance. An investment firm had created a library of the videos to help clients select hedge fund investments. She watched and coded every clip, looking for verbal and nonverbal cues that psychological research suggests are signs of each trait. For example, a manager would get higher marks for psychopathy if he smiled at the misfortune of others or displayed an “eerie calm” when discussing otherwise emotional situations. Another manager would get high marks for narcissism if he talked about himself a lot, or referred to himself in the first person. To make sure ten Brinke’s assessments were as objective as possible, she was told nothing beforehand about the managers’ track records, and the clips were watched by other psychological analysts whose ratings were highly correlated with hers. 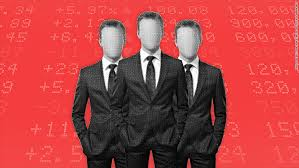 With each person categorized as more or less prone to behavior that could be labeled psychopathic, the researchers turned to how good each hedge fund manager did their job. They found a pattern: Being nice pays. However, some psychologists have shown that the quality of work exhibited by people with such tendencies can fall short. “More psychopathic individuals tend to be able to talk the talk, but not walk the walk,” ten Brinke said. Over time—and measured by an objective standard such as investment returns—their shortcomings can become glaringly obvious. Psychopaths are also very difficult to work with, as one could probably surmise. Investing, like other fields, can require collaboration, listening to the ideas of colleagues, and hiring specialists to execute your strategies. Last year, ten Brinke, Keltner, and others did a similar analysis of U.S. senators. They found that the more psychopathic senators had fewer co-sponsors of their bills.